The 400 series offers a combination of wood essence specially designed to offer a sound that is both shiny and warm. Indeed, the solid Ovangkol used for the splints and the back reminds the Indian rosewood in its tonal qualities. Associated with a table in solid spruce, it allows to develop a very balanced sound, ideal for accompaniment, while also offering a unique visual identity. Headquartered in El Cajon, California, Taylor Guitars was founded in 1974 by Bob Taylor and Kurt Listug, and has grown into the leading global builder of premium acoustic guitars. Taylor employs over 900 people and currently produces hundreds of guitars per day in its state-of-the-art factory complexes in both El Cajon and in Tecate, Baja California, Mexico. The company maintains an active dealer network, with Taylor guitars sold through hundreds of retail locations in North America and with international distribution to 60 countries, including a distribution warehouse and factory service center in the Netherlands. Renowned for blending modern, innovative manufacturing techniques with a master craftsman's attention to detail, Taylor guitars are widely considered among the best-sounding and easiest to play in the world. The company was a pioneer in the use of computer mills, lasers and other high-tech tools and proprietary machinery, and today, Bob Taylor is widely recognized throughout the musical instrument industry as the visionary acoustic guitar manufacturer. 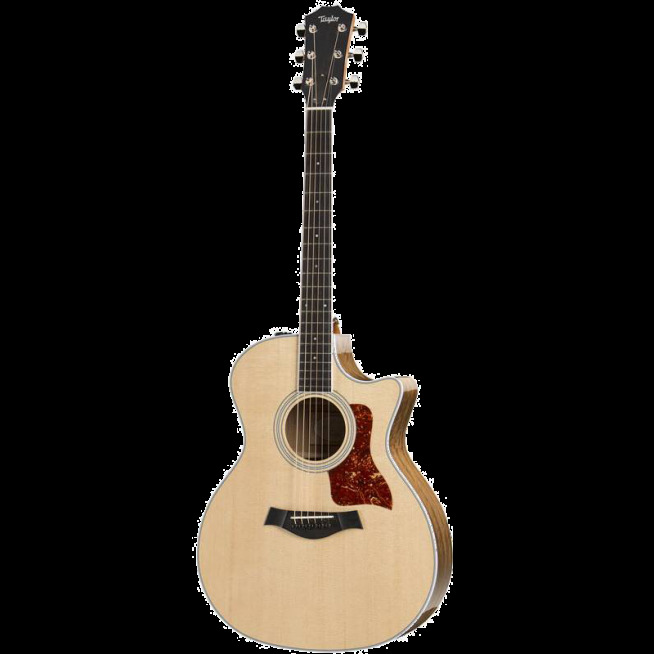 Among the company’s many innovations are its patented Taylor Neck, the first major innovation in the construction of the acoustic guitar in the last 100 years; the award-winning Expression System® 2 (ES2) pickup, a groundbreaking approach to amplifying an acoustic guitar; and the T5, the first, true hybrid acoustic and electric guitar that can produce amplified acoustic tones, full-crunch electric, and everything in-between with the flip of a five-way switch. In addition to its forward-thinking approach to guitar design and manufacturing, Taylor has applied that same approach to its wood sourcing and environmental sustainability initiatives. Taylor is dedicated to the pursuit of best practices in forest management, new models of reforestation, and bringing ethically harvested tonewoods to market. This approach, together with outstanding playability, flawless craftsmanship, and stunning aesthetics, are just a few of the reasons that many of today’s leading musicians make Taylor their guitar of choice. The company’s artist roster numbers in the thousands, and includes the likes of Taylor Swift, Jason Mraz, Zac Brown, and many other established musicians.